May is a very special month for the devotees of Saint Rita! The nine days of St. Rita's Solemn Novena culminate in the joyful celebration on her Feast Day: May 22nd. During the Solemn Novena, Masses are held in the Upper Shrine. Each Mass is followed by the Novena to Saint Rita and the veneration of her relics, as the faithful gather to bring petitions to the Saint of the Impossible. The Feast of Saint Rita is an extraordinary celebration every year, and visitors come from all over the world to celebrate with us! 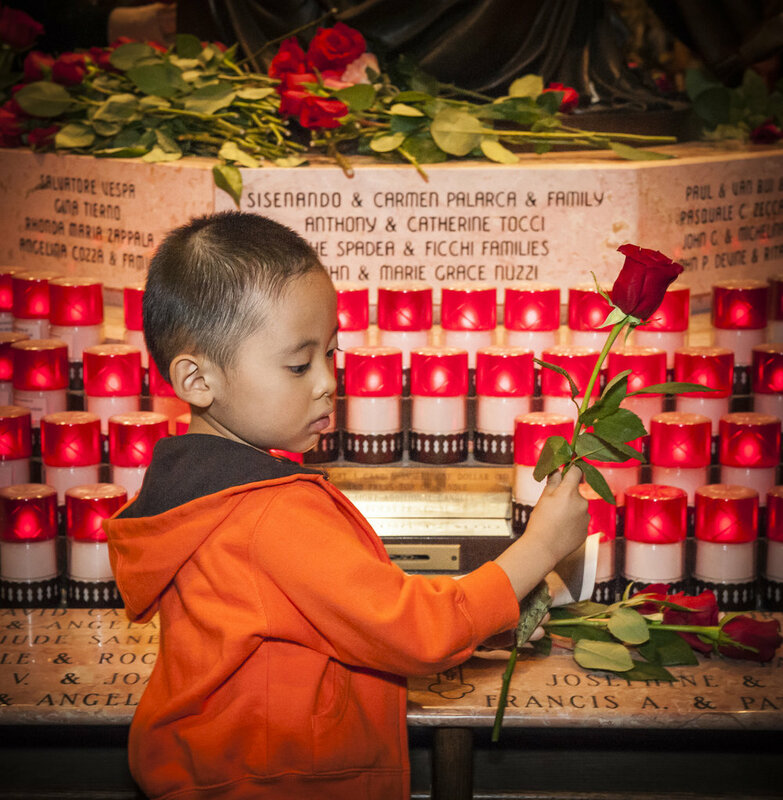 Come early to buy roses and visit the gift shop to stock up on religious articles. They will be blessed during the Mass! At the end of each Feast Day Mass, we pray the Novena to Saint Rita and reverence the relics while the congregation sings, "Pray, Saint Rita! Pray for us today!" There are six Masses during the Feast Day when it falls on a weekday. We often invite special celebrants to each Mass. Come celebrate with us!